Benham, working alongside Lendlease and the International Hotels Group (IHG), was the lead architect for the first cross laminated timber (CLT) structure on a US military installation and the first all CLT hotel under any ownership type in the country. The Privatization of Army Lodging (PAL) program is an Army-led, public-private venture established as a means of revitalizing on-post transient housing facilities for Soldiers, their families and all official government travelers. The renewable CLT material provides for flexibility of design and typically requires a smaller workforce and yields significantly faster project delivery with a “green” structure that measured up well with anti-terrorism/force protection requirements. 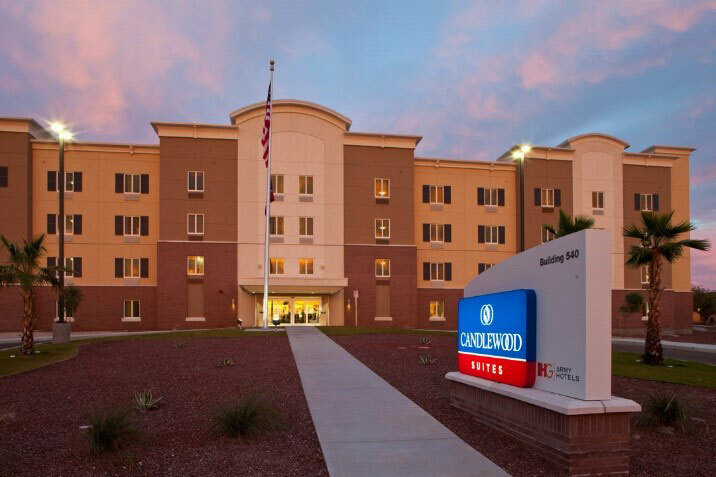 The Redstone Arsenal Candlewood Suites is one of four CLT projects executed by Lendlease worldwide.